In todayâ€™s modern household the kitchen is often the center of family life, as well as a space to entertain guests. A room that was once hidden from view and considered strictly a work space is now one of our favorite rooms to gather in; a place to share the details of our day while we prepare our family meals. When our clients begin designing a kitchen they often start with the â€œfunctionâ€ aspectâ€”the ways in which they want to improve the way their current kitchen works. As home cooks become more sophisticated they want their equipment to match their increased skills. No matter what oneâ€™s skill level in the kitchen, everyone wants their kitchens to look beautiful. No matter what your personal aesthetic, K&N Sales can help you create the look and feel you desire, for everyday living and for entertaining guests. Appliances can add visual interestâ€”sleek stainless steel is always popular, as is custom cabinet-front designâ€”but you can truly add personal touches with backsplashes and countertops through color, texture, and shine. Your choice of cabinetry is another way to reflect your personal style; at K&N Sales we offer Brookhaven by WoodMode, an industry leader in cabinetry. Fine attention to detail, a 15-step finishing process (that includes a 7-step hand-rubbing process), and the combination of old-world styling with modern manufacturing make Brookhaven by WoodMode the cabinet of choice for discerning homeowners with distinctive personal style. 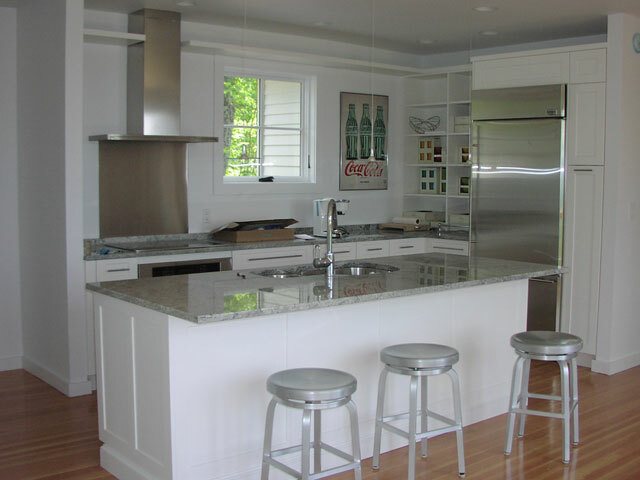 Countertops add decorative flair but also provide work and storage space. Our line of SPEVKA Worktops offer unique solutions for kitchens (and bathrooms), with a focus on tailor-made solutions that are customized to meet the needs of each individual client. A backsplash is the visual counterpoint to the countertops you choose for your kitchen. A backsplash has a practical purpose: protecting your walls from splashes, stains, greasy food splattering, and the formation of mold. The options for backsplashes are so limitless, they can often be one of the most difficult areas of the kitchen to design! Whether you want to match your sleek new stainless steel appliances or create a beautiful ceramic mosaic, backsplashes are a great way to add custom flair to your kitchen design. We invite you to stop into the K&N Sales showroom and speak to a member of our design team about how you can begin designing the kitchen of your dreams.